Today we explore some new products that not only help you with projects on-the-go, but also to help make it easier to make your projects move. Welcome back, everyone! We hope you all had a great week! Maybe you got some shopping done, ate a few leftovers, and (hopefully) enjoyed a long weekend. Get ready, because we are about to make your week even better with some great, new products! That's right, Rob should be back next week. For now, though, you will still have the pleasure of dealing with me and Nick. Let's take a look at this week's new stock! 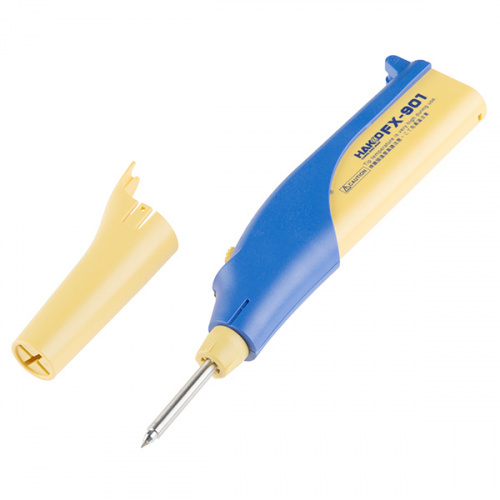 First up, we have a new portable soldering iron from Hakko. The FX-901 is powered by four AA sized batteries, offers a replaceable tip, and puts out a lot of heat. We love the SolderPro 50, but sometimes using batteries instead of butane isn't a bad option. The Logic 4 from Saleae is one of two new USB Logic Analyzers that we are pleased to bring you this week. The Logic 4 provides four inputs (three Digital-Only, 1 Multi-Use), a digital sampling rate of 12MS/s, supports logic levels of 2.5V-5.5V, and includes all the add-ons you need all conveniently located in a custom travel bag. If you are looking for a more economically priced logic analyzer, the Logic 4 is a great choice! The second new USB Logic Analyzer this week is the Logic Pro 8. This logic analyzer utilizes USB 3.0, provides 8 Multi-Use inputs (Analog/Digital/Both), a digital sampling rate of 500MS/s, supports logic levels of 1.2V-5.5V, and also includes everything you need to get set up. Yes, the travel bag is still included. The MiP Robotic Platform has really taken off, but we were really curious how hackable it was. 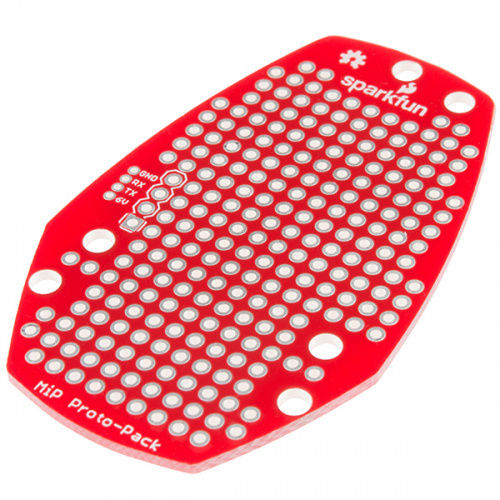 The SparkFun MiP Proto-Back is our first protoboard developed for the MiP that we have for you this week. The Proto-Back offers a large space to prototype with .1" spaced through holes. This board does require some modification to your MiP so make sure to read the corresponding Hookup Guide. The second protoboard for the MiP this week is the SparkFun MiP Proto-Pack. This board is very similar in name and look to the Proto-Back but does offer slightly less prototyping space. Don't be discouraged though: the Proto-Pack is much easier to install and fits snuggly on your MiP's battery pack! Still be sure to check out the Proto-Pack's Hookup Guide for helpful installation tips and tricks. Inside each MiP there is a small 4-pin JST with a 1.5mm pitch called the "Hacking Port." 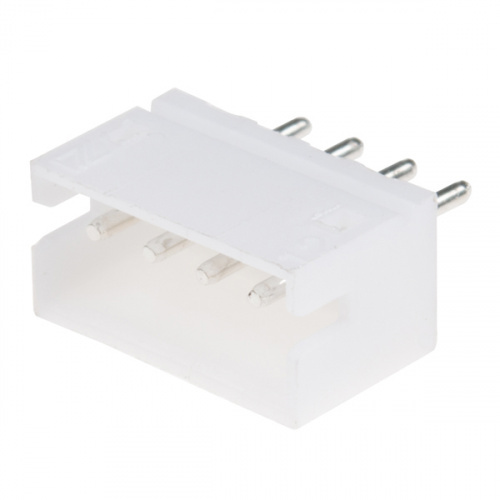 This MiP Expansion Socket can easily be soldered to a designated area on a Proto-Back or Proto-Pack to give your boards the same level of connectivity. 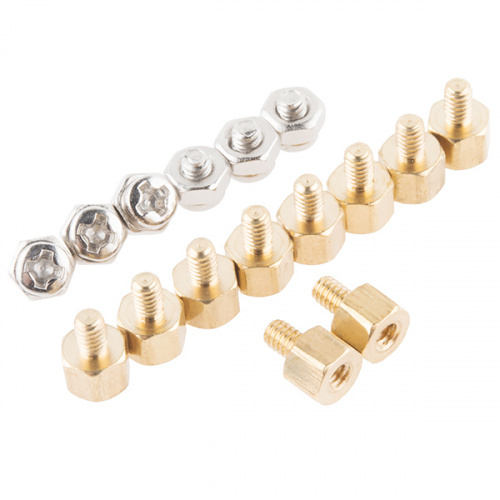 Once you've soldered your expansion socket to a Proto-Back or Proto-Pack you're going to need some way to connect them to your MiP. The MiP Expansion Cable is just what you need! 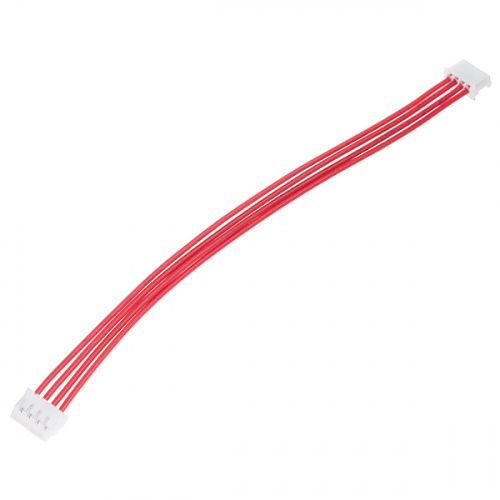 Each cable is 4" long and offers the same 1.5mm pitch as the connectors. Earlier this week the Intel® Edison Starter Pack and its corresponding boards all went live. Along with those, we are also pleased to bring you the Intel® Edison Hardware Pack, a pack of standoffs, screws, and nuts to help give your Edison stacks a little more stability and increased mechanical strength! The Cubelets Six Kit is the newest version of the KT06 kit from Modular Robotics. 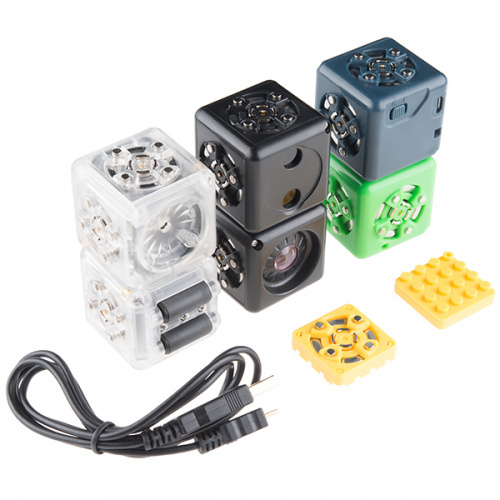 This is the same basic Cubelets kit that you know, but now offers two Brick Adapters (for attaching your favorite brick-based construction systems) and USB Charging Cable (so you will no longer have to purchase a separate power cord). This new rev is the SparkFun OpenSegment Shield. This shield is almost the exact same as its predecessor, the 7 Segment Shield, but now it's cheaper and YOU have the option of which color display you want on the shield! 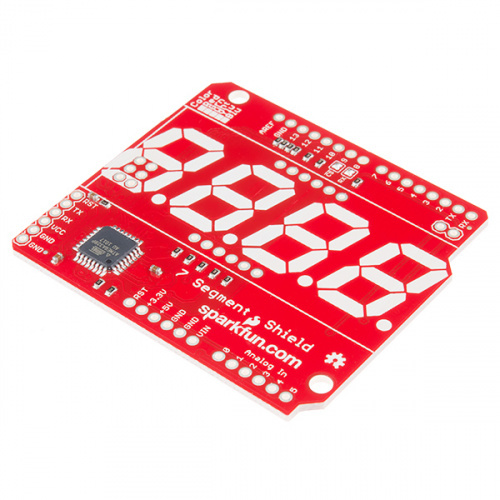 That's right, all you need to do is pick up this shield, choose your desired color 7 Segment Display, grab some headers, and solder it all together. 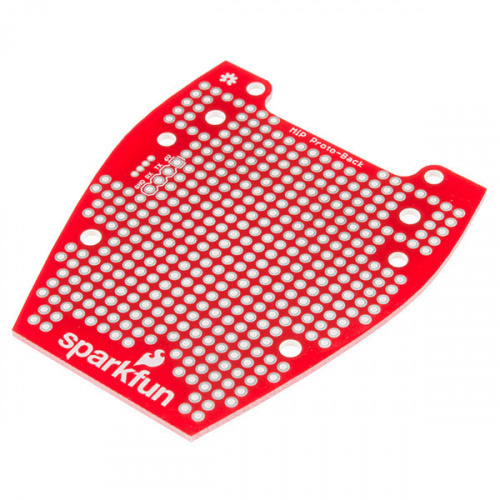 Last up this week is the SparkFun GPS Shield Kit. This kit used to be a very popular retail product but has now gotten a slight makeover. This version of the GPS Shield Kit is just as you remember just without that annoying clamshell and includes everything you see above! Well, that's it for this week. We hope you enjoyed all of our new products and the work that Nick and I did to bring you these posts while Rob has been out. We hope to see you back next week for even more great products! I love new product Friday! You always have a way of knowing what products I have been trying to acquire. Don't worry, I'll be back next week. They should be live later this afternoon. I just bought the Logic 8 - it's a beautiful piece of tech, although you do have to use their software instead of Sigrok/Pulseview. I suggest anyone who wants one look around though, since you can find Saleae's logic analysers for less than RRP in some places (I know I saw one that was 25% less somewhere). 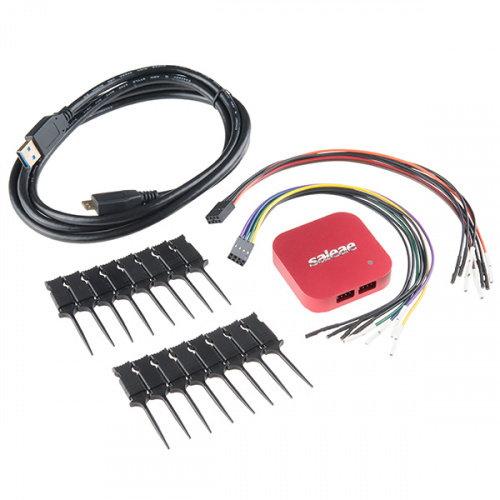 Is the Intel Edison Starter Pack Hookup Guide still coming out today? I believe it's using a combination of cypress and xilinx chips. They have some pictures on their site.